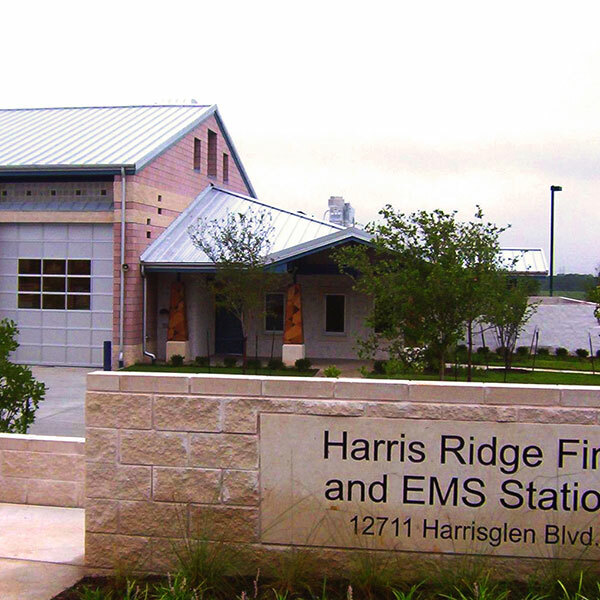 Harris Ridge Fire and EMS station is a 8,963 sf facility in north Austin. The design was intended to reflect nearby residential roof forms and provide appropriate scale that reflects different internal uses—residential, work/study and fire equipment storage. Prototype floor plans were used to develop a unique image for this facility. 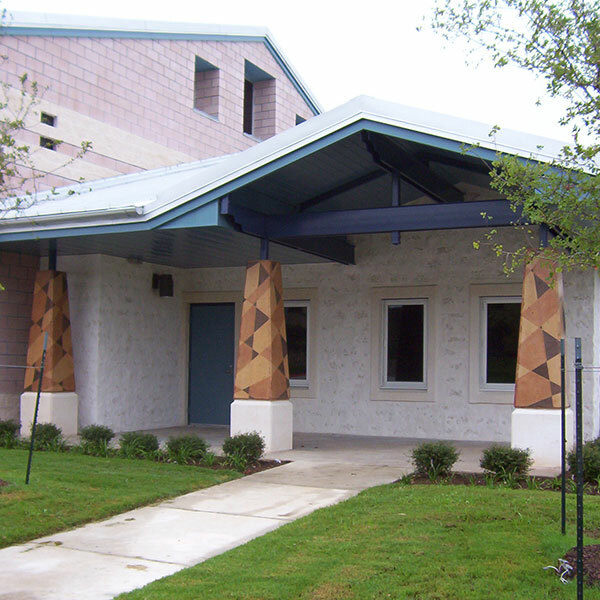 Materials were chosen for long-term durability in a high maintenance environment. 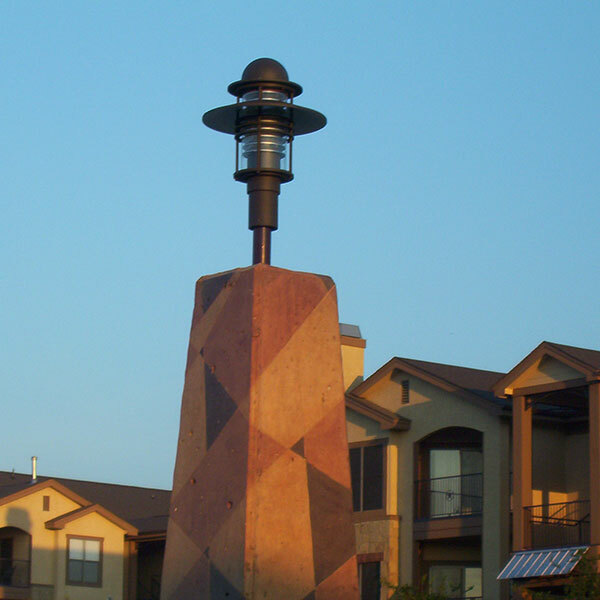 While in transition between Green Builder Standards and newer LEED Standards, the design and construction teams incorporated the philosophy of sustainability without benefit of an established budget to provide sustainable design. 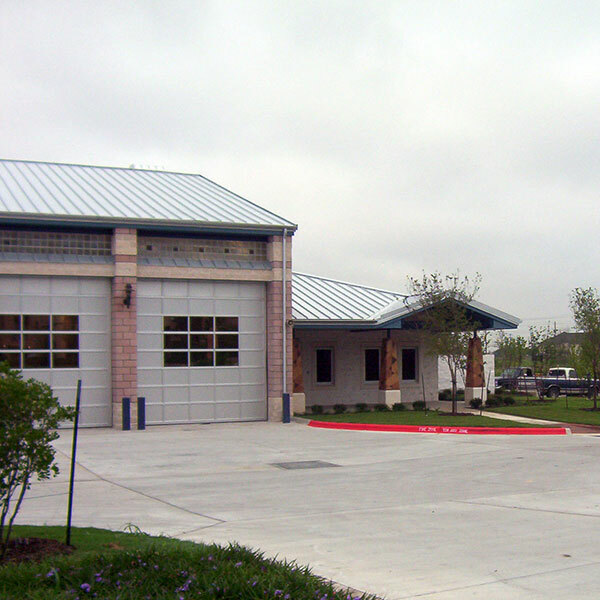 The station is comprised of four truck bays, living quarters, administrative offices and dispatch, as well as recreations areas and full kitchen. Special systems included a fueling station, vehicular exhaust system and back-up power generation.